Fassmer OPV 80 is a landmark design in the OPV market, mainly because of its outstanding seakeeping performances and efficiency, which make it perfect for long time o? shore missions, as well as helicopter and fast boat operations. The OPV 80 advanced hull design makes the vessel extremely seaworthy and ideal for multi-missions tasks. The top deck layout features a large flight deck suitable to operate medium size naval helicopters in night and day operations and is fully NVG compatible. The vessel can accommodate up to three interceptor boats, including a stern ramp-launched Special Forces eleven-meter boat. The vessel has the capacity to accommodate up to 100 persons and reaches a maximum speed of 24 knots. It is built in a modular design concept for easy integration of diff erent weapons and sensor systems. Customers can count on the highest safety, quality and environmental standards. Based on the well-proven OPV 80 hull design the Auxiliary Personnel Hospital APH 80 has been equipped with additional naval functions like, for example, a well equipped hospital directly connected to a fully operable flight deck and additional troop quarters. This large and outstanding sea-keeping vessel operates as an optimum auxiliary fl eet vessel. Its main missions are humanitarian aid and disaster relief operations for which it includes a hospital and upgraded accommodations. Additionally, this all-in-one can execute low intensity patrol tasks such as maritime interdiction, antipiracy, troop transport, SAR and fishery protection. Chile was the first country to order two 80 m Offshore Patrol Vessel (OPV 80) from Fassmer. 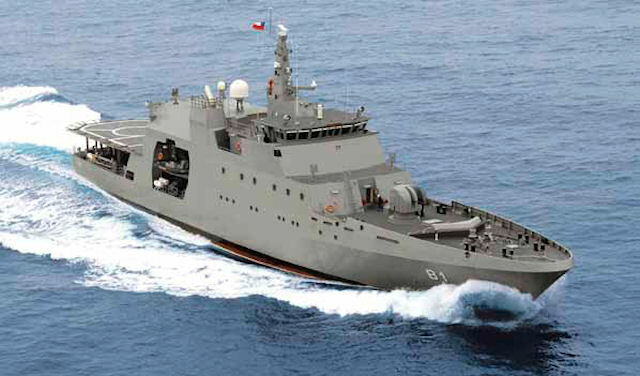 On December 2011, both the Chilean and Colombian Navies placed orders for additional Offshore Patrol Vessels of the successful OPV80 design. With these additional orders, there are a total of 3 OPV80 in service, 2 under construction and further 9 planned within 3 Navies, making Fassmer's OPV80 one of the most successful OPVs worldwide. 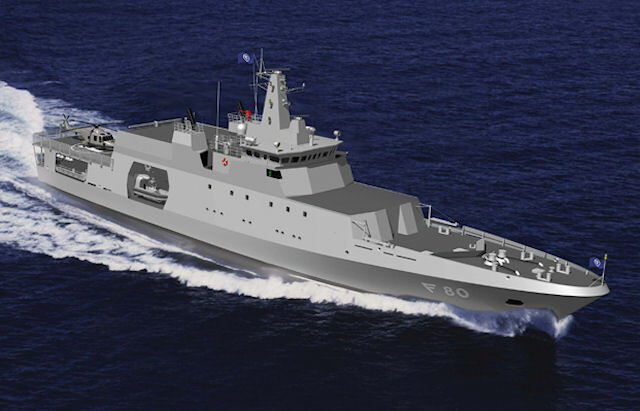 The Chilean Navy has already in service two OPV80 (OPV Piloto Pardo and OPV Comandante Toro) and has plans to extend its fleet up to a total of 5 OPVs. The excellent performance of the first batch, alongside its low operational cost, has been a key factor in the confirmation of the follow up vessels by the Navy. The construction of the third OPV will take place at ASMAR shipyard in Talcahuano, Chile, during 2012. In the case of the Colombian Navy, the confirmation of the Ministry of Defense to order the second OPV80 came just after successful testing of the first OPV (ARC 20 de Julio) in the Caribbean Sea on December 2011. The Colombian Navy has plans to extend its OPV80 fleet to an undisclosed number of units. The follow-up OPV is scheduled to start construction during the first semester of 2012 at COTECMAR shipyard in Cartagena, Colombia. x-shaped hull to reduce radar cross section. Option of launching ramp to accommodate interceptor boat.